Don’t let spring cleaning overwhelm you! Use this 31-day spring cleaning checklist to knock it out without losing your mind! This post has been sponsored by Clorox. All thoughts and opinions are my own. With the weather warming up, it’s time to start thinking about spring cleaning! But if you’re like me, spring cleaning can be a big job, and sometimes my enthusiasm starts to wane if I try to take on too much all at once. 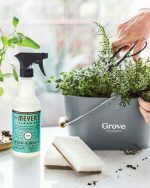 So today I’m sharing with you my ultimate 31-day spring cleaning checklist: this simple checklist breaks down spring cleaning into manageable daily tasks so that you can give your entire house a refresh in just 31 days! Grab your free printable below! 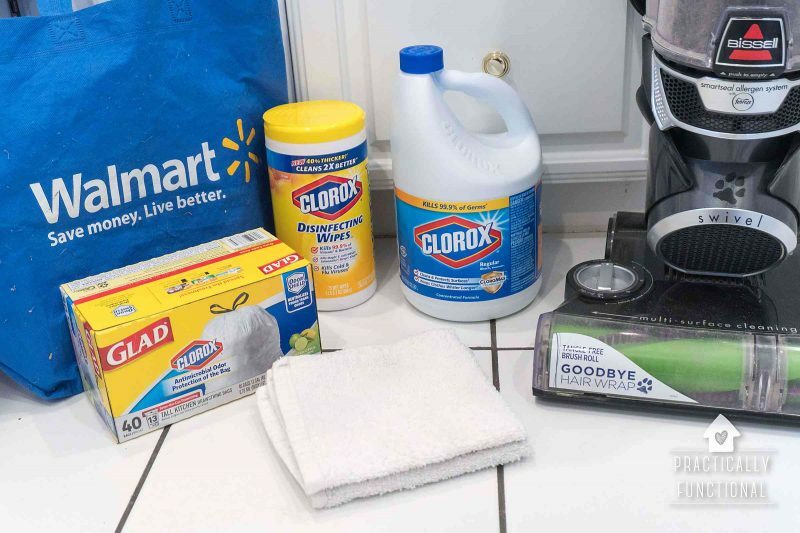 If you need to stock up on cleaning supplies, head to the cleaning aisle at Walmart. They have a coupon that helps make spring cleaning totally affordable. When you’re ready to get started, enlist the help of the entire family and your spring cleaning will be done in no time! Grab your free printable spring cleaning checklist here! If your vacuum is full of gross stuff and spewing dust all over the house as you clean, your house isn’t going to get very clean! 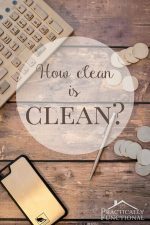 Take the first few days to make sure that all of your cleaning tools are clean and functioning at maximum efficiency before you dive into spring cleaning. Clean the vacuum: replace the bag or clean out the dust collector bin, replace or wash the filter, then grab a pair of scissors and cut any hair off the rotating brush. Clean the dishwasher: pop out the filter/drain cover and wash it, then do a deep clean of your dishwasher with vinegar and baking soda. Clean the washing machine: Use this tutorial and some Clorox Bleach to clean your top loading washing machine; if you have a front loader, that tutorial still works, just skip the soaking stage! 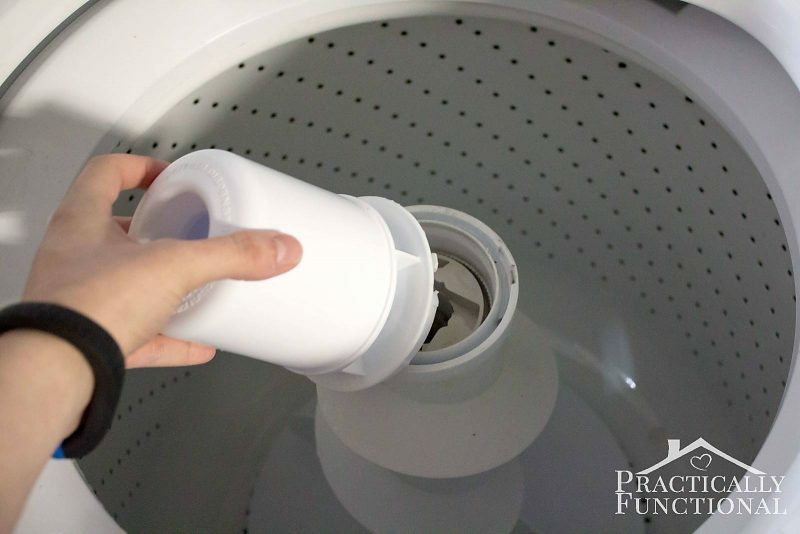 Clean the dryer vent: Vacuum out the dryer vent (all that lint is a fire hazard! ), then add homemade wool dryer balls to make your clothes dry even faster. Clean the oven: Clean your stove top (even the baked on gunk!) with this tip, then use this natural oven cleaner to clean the inside of your oven. This tutorial will help you clean your stove top grates overnight. De-grease around the range hood: Wash and degrease your range hood filter with warm water and dish soap, and degrease any kitchen cabinets that are sticky and gross. Clean the fridge: Empty out your fridge, pull out any removable shelves and door bins and wash them with warm soapy water to get rid of any bacteria. Wipe down the entire inside of the fridge with Clorox Disinfecting Wipes and replace the water filter if you have one. Then double check all of the food before you put it back in the fridge; make sure nothing is past its expiration date! Clean out the freezer: You can lose track of what’s in the freezer since food keeps so much longer in there. So pull everything out of your freezer and check expiration dates before putting it back. You can use this free printable freezer inventory list to help keep your freezer organized and keep track of what’s in your freezer at any time. Clean out the pantry: Did you know that spices have an expiration date? And even boxed and canned foods can expire! Pull everything out of the pantry and wipe down the shelves with Clorox Disinfecting Wipes. Toss any expired foods, combine any half-empty bags or boxes, then put everything back. Clean the microwave: Wipe off the exterior of the microwave with warm, soapy water, then clean the inside of the microwave in just 5 minutes! Clean the coffee maker: Wipe off the exterior of the coffee maker with warm, soapy water. Then fill the water chamber with equal parts white vinegar and water and turn the machine on. Let it run until the pot is half full, then turn it off and let it sit for half an hour. Turn it back on and let the brew cycle complete, then run another full brew cycle with just water to clean out the plumbing. Clean the sink: If you have a porcelain sink, clean it with this simple cleaner. If your sink is stainless steel, clean it by sprinkling some baking soda into the sink then rubbing it around with a soft sponge. Clean and deodorize your garbage disposal while you’re at it! 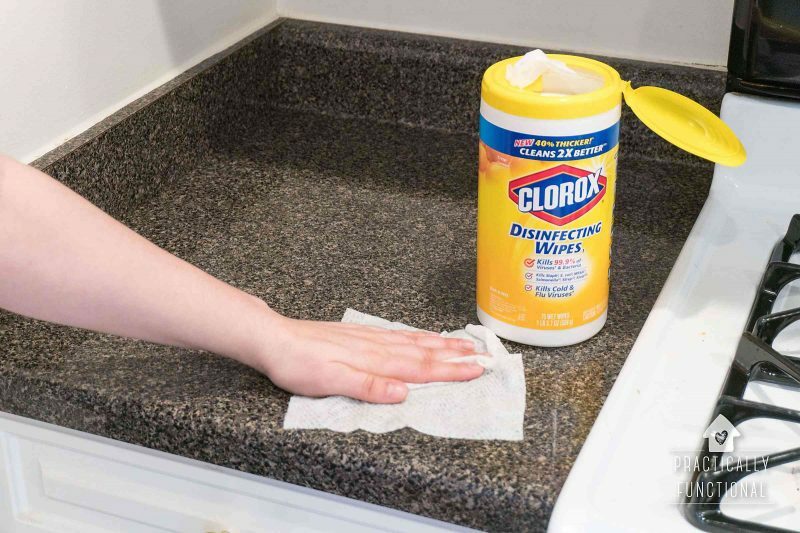 Clean the countertops: Use a soft cloth, like a microfiber cloth, and a mild bleach solution to wipe down your countertops, or use Clorox Disinfecting Wipes. Use an old, soft toothbrush to clean nooks and crannies, like the grout lines around the sink and the corners where the backsplash meets the counter. Deep clean cookware: Everything can get coated in a nice layer of dust while sitting in a cabinet, especially if it’s not used all that often. Pull out all of your cookware and bakeware from the cabinets and wash them. Wipe out the insides of the cabinets with warm, soapy water. Straighten up and eliminate: Take a good look in all of your kitchen cabinets at dishes, mugs, silverware, etc. Straighten up everything to make more room in the cabinets, and donate anything you don’t need or don’t use! Wash the linens: Toss the shower curtain in the washer, and if the shower curtain liner is fabric rather than plastic, toss it in as well! If your bath mat is cotton or polyester, you can wash it in the washing machine as well, though if it has a rubber backing, be sure to air dry it rather than using a heat cycle in the dryer. Clean the exhaust fan: Vacuum out the exhaust fan to make sure it’s running at maximum efficiency. 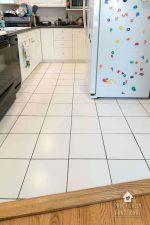 Clean tile grout: This homemade grout cleaner with Clorox Bleach will get your grout sparkling clean in no time! 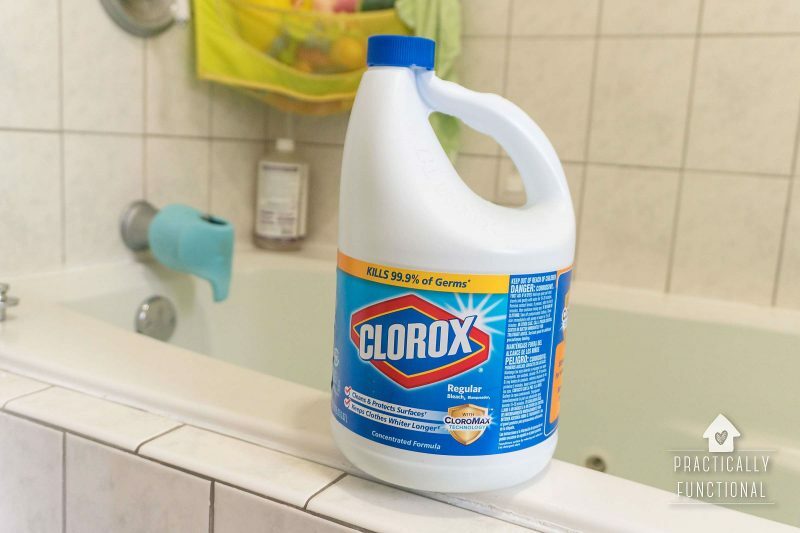 Clean the toilets: Pour a bit of Clorox Bleach into the water at the bottom of the toilet, then use a toilet brush to stir it all up and scrub the entire toilet, including up under the rim, the top of the rim, and under the seat. 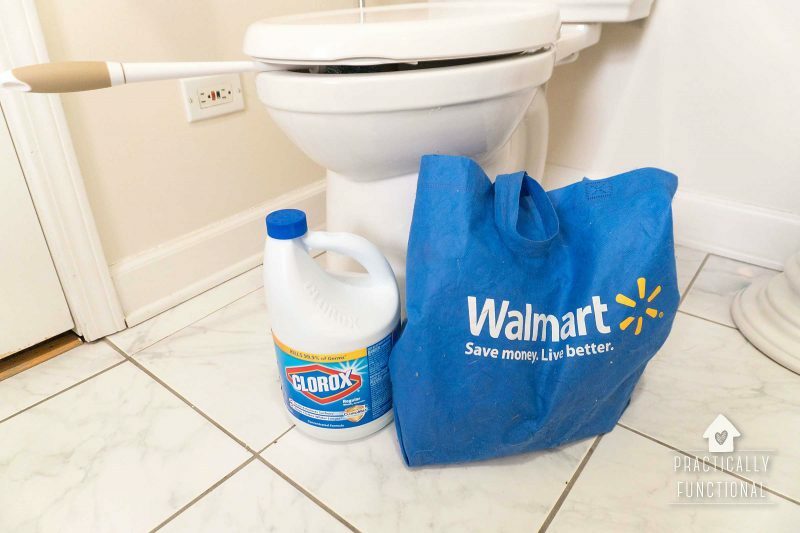 You can use Clorox Disinfecting Wipes to wipe down the seat, lid, tank, and exterior of the toilet. 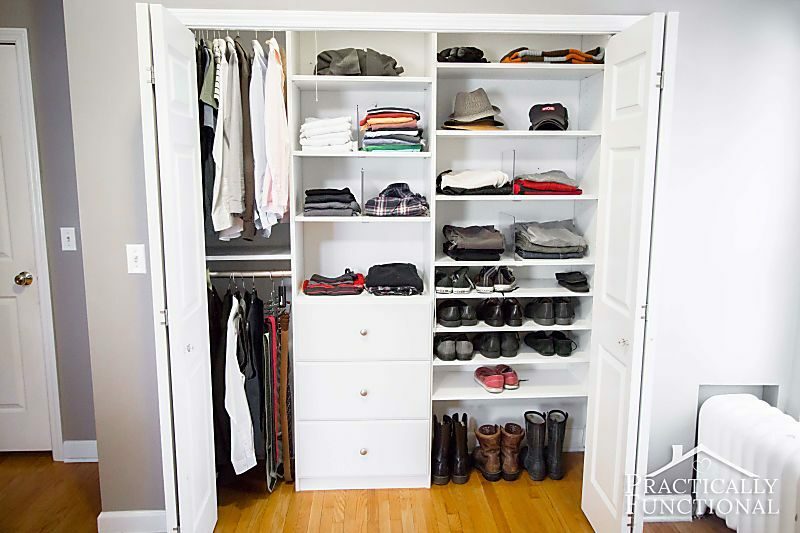 Clean and tidy: Go through the linen closet and toss any expired medicines or old beauty products. 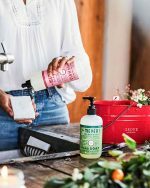 Consolidate half-empty bottles of soaps and lotions and refill the soap and lotion dispensers. Take a good look through everything and get rid of it if you don’t need it or don’t use it. Clean the mattress: Strip all the linens off the bed and vacuum the mattress itself using the upholstery attachment on your vacuum. You can deodorize the mattress by sprinkling a bunch of baking soda over the entire surface of the mattress. Let it sit as long as possible (up to 24 hours if you can!) then vacuum the mattress again before re-making the bed with fresh linens. Deep clean dressers and closets: Pull out all your clothes and wipe everything down with warm, soapy water. Look through all your clothes and donate anything you don’t wear anymore. This is also a good opportunity to switch out seasonal clothing. Deep clean baby/kid dressers and closets: Do the same for your kids’ clothes. Box up any clothes that are too small to hand down to a younger sibling or friend. Clean the window treatments: Pull down the curtains and wash them in the washing machine or take them to a dry cleaner. For valances that are permanently mounted to a board or rod, vacuum them with the upholstery attachment for your vacuum. Wipe down blinds with warm, soapy water. Wash the rugs: If your rugs are cotton or synthetic material you can wash them in the washing machine. If they have a rubber backing, be sure to air dry them rather than using a heat cycle on the dryer. Dust: Dust fan blades and light fixtures. Dust picture frames, art, mirrors, and wall hangings. Dust bookshelves. Dust: Dust baseboards and clean scuff marks. Dust crown moulding. Wash the doors: Wash the inside and outside of all your doors and clean up any scuff marks. Touch up the paint if you want. Clean the walls and ceilings: Use a vacuum to remove any dust or cobwebs from the walls and ceilings. Use a slightly damp rag to remove any dirt and grime. Clean windows and screens: Vacuum any dust or cobwebs from the window frames, then use a glass cleaner to clean the interior of the glass. Remove the screens and wash them in warm, soapy water. Deep clean the furniture: Take cushions outside and gently beat them to get rid of any dust. Vacuum any upholstered furniture with the upholstery attachment of your vacuum. For wood furniture, wipe the surfaces clean with a soft rag and warm, soapy water. Once it’s dry, apply a paste wax, then buff with a clean, soft cloth once the wax dries. Deep clean the carpet: For synthetic rugs and rugs with a waterproof backing, rent a carpet shampooer for a deep clean. For Oriental rugs or other rugs without a backing, consult a professional cleaner. Clean the hard floors: Vacuum first to remove any loose dust, then use a slightly damp mop with an appropriate cleaner to clean hardwood, tile, stone, or other hard surface floors. 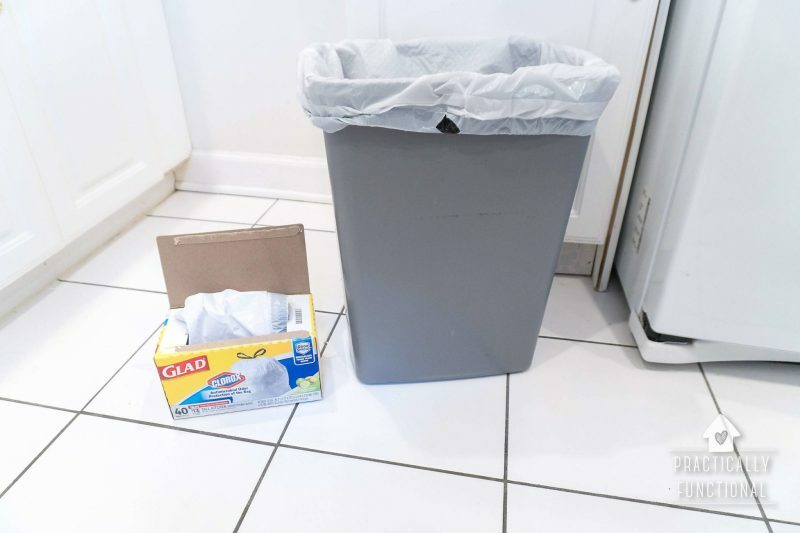 Wash the garbage cans: Clean and disinfect your trash cans with Clorox Bleach before putting a trash bag back in them. I love using Glad Tall Kitchen Bags with Clorox antimicrobial odor shield because they do an awesome job at neutralizing odors. Replace the light bulbs: Replace any burnt out bulbs, or switch out older bulbs for a more energy efficient version. Replace the batteries: Test and replace batteries in all of your smoke detectors and carbon monoxide detectors. Change the air filter: Replace your air filter if you have central air. Vacuum any vents to help air circulate better. Disinfect everything: Walk around your house with Clorox Disinfecting Wipes and wipe down anything that tends to get touched a lot. Germs can live on doorknobs, cabinet handles, drawer pulls, TV remotes, gaming controllers, etc. so wipe them all down. Declutter paperwork: Gather all the loose paperwork and sort it into piles to recycle, shred, keep, and “to do”. Recycle and shred unnecessary paperwork, and file any paperwork that you need to hold onto. Clean the outside of the windows: Wash the window frames with warm, soapy water and clean the glass with a glass cleaner. 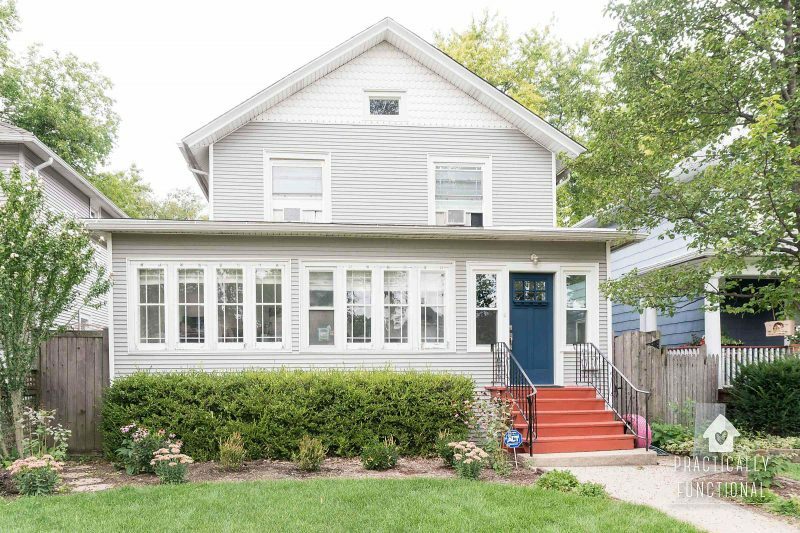 If the windows are too high to reach, call a professional to help. Clean decks and porches: Sweep your decks and porches, then hose them down to wash away dirt. You can even power wash them to get rid of embedded dirt and grime. Clean the grill: Scrub any burnt on gunk off the grill with a wire brush, then wipe down the interior and exterior of your grill with a damp rag. Clean your grill grates with this tutorial. Clean outdoor furniture: Remove any cushions and hose down/power wash your outdoor furniture. You can clean the cushions and any fabric parts with warm, soapy water and a soft rag. Waterproof your outdoor fabrics to protect them from the elements. Want to share this checklist with your friends? Just click any of the share buttons on the left to share with Facebook, Pinterest, Twitter, etc.! 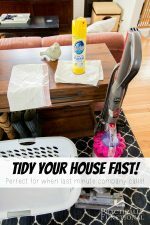 How To Tidy Your House Fast! 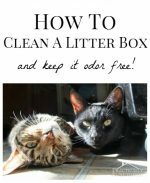 How To Clean A Litter Box And Keep It Odor Free! « What Materials Can A Cricut Machine Cut? Here Are Over 100!